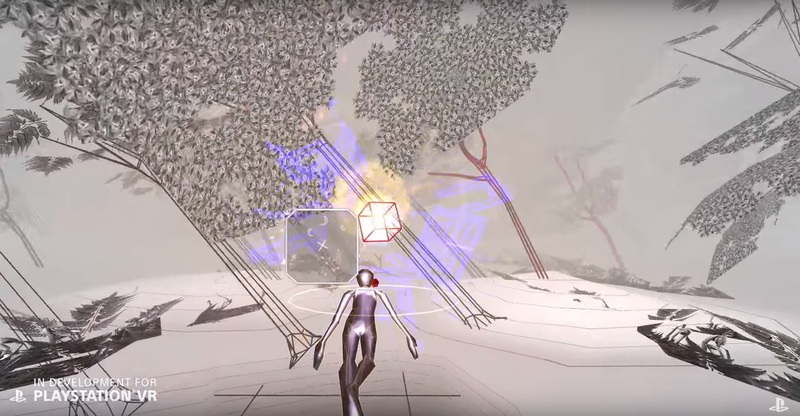 Rez Infinite Review | All The PlayStation You'll Ever Need. 15 years ago, Sega published the original Rez on the Dreamcast and here we are now, the year 2016 as Rez Infinite released alongside the launch of Sony’s PS VR Headset. I’m about to tell you why a decade plus old game is the first game you should own for it, brah. Every new console needs that ‘killer app’ title for gamers to want to invest their hard-earned money in. While I wouldn’t call the PS VR headset a new ‘console’, as it’s more of an extension of the PS4 ecosystem, it cost just as much as the PS4 did upon release. This add-on for the PS4 console needed a must-have title and Rez Infinite is it. 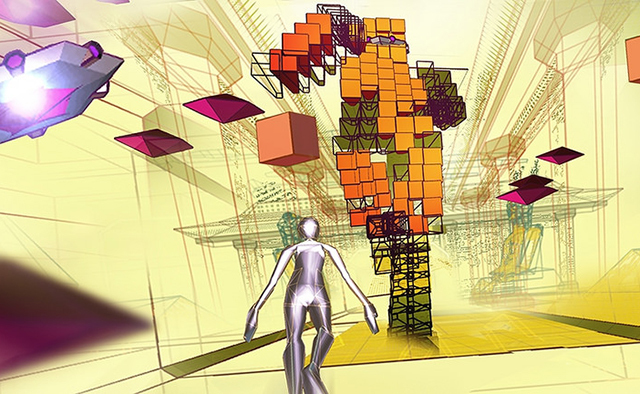 The first thing you’ll notice upon starting the game is how perfectly the world of Rez adapts to the world of VR. The game had been released originally in the Dreamcast, then had a port on the PS2 and a HD version on the 360. None of them even compare to the content and graphically fidelity that the PS4 version offers. The 1080P resolution helps makes the vector-style graphics really pop and blast out at your eyes. Things will go insane when a barrage of enemies projectiles coming flying at you as the sense of speed will make your brain go into overload mode as you chase down enemies within the virtual world. If you haven’t seen what the game looks like over the past 15 years, here’s a clip I streamed the other night, because for a 15-year old game, it looks and feels completely fresh in the world of VR. While the graphics make it rad in VR, we can’t forget about the Gameplay! Gameplay is great and easy to pick up and learn. Heck, there’s even a mode where you can’t die! The controls for the game are a breeze! X button has you locking on enemies, then releasing it fires a stream of energy at them. The game is a on-rails shooter so all you have to do is control your cursor. Well, one of the coolest parts about using the headset is that you control your aim with your head! Sure, you can still use the analog stick of the Dualshock 4, but I enjoyed the motion aiming much more than I thought I would. At one point a boss runs past you and having the ability to turn around and continue to bombard him with my firepower was too cool. As I mentioned early, Rez is more or less an on-railer shooter. You flying around the digital mainframe, on a mission to save the Eden A.I. from herself. Yes, even A.I. can have issues. The biggest twist to the formula is that the game is centered around music. Every explosion, lock-on, power-up, or level-jump that you discover unleashes a beat. That’s right! No explosions, just synth techno music blasting through your speakers (or headphones! The game recommends you were them for the best experience and I completely agree) as you complete your mission over 5 stages. The best part is that each stage features its own music, which totally rawks, so you might be doing like I did: getting down with the music and missing a rocket flying at my face. Game over? That’s ok! I love the soundtrack enough to play it again. But hey, I’m a fan of techno, brah. Ok, so you might have thought “Wait, only 5 stages?”, Rez Infinite isn’t the longest game you’ll play. You could probably beat the original 5 missions in an hour, hour and a half. “I want more! !” you say? There is!! There’s a boss rush mode and score attack mode. Hell! The team even went back and added an all-new mission called Area X! This new mission gives you the most control ever, as you speed up or slow down your on screen persona and have a great deal of freedom as you journey through the new levels. It features a brand new song and some of the most colorful and psychodelic visuals yet. 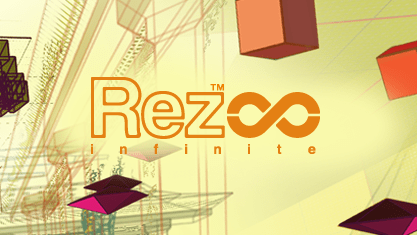 It is a great addition to the game and fans of Rez will most definitely want to check it out. In closing, I’ll admit that I’ve never beat the game until today, but I knew after seeing the reveal for it at PSX 2015 with that crazy suit, that I finally had to finish it. Rez Infinite is easily the best version of the game ever released. The visuals, gameplay, content, and the thrill you’ll have playing this game with your PS VR headset makes it THE Must Have PlayStation VR Launch title and is 100% Certified Brahsome, in my humble opinion. $30 is chump change compared to the Brahtastic experience you’ll have with it. Plus..if this sells well enough, maybe we will see a Rez 2, brah! Previous Previous post: A Single Tweet from Rockstar Games blewed up the Internets. Next Next post: Red Dead Redemption 2. Fall 2017. 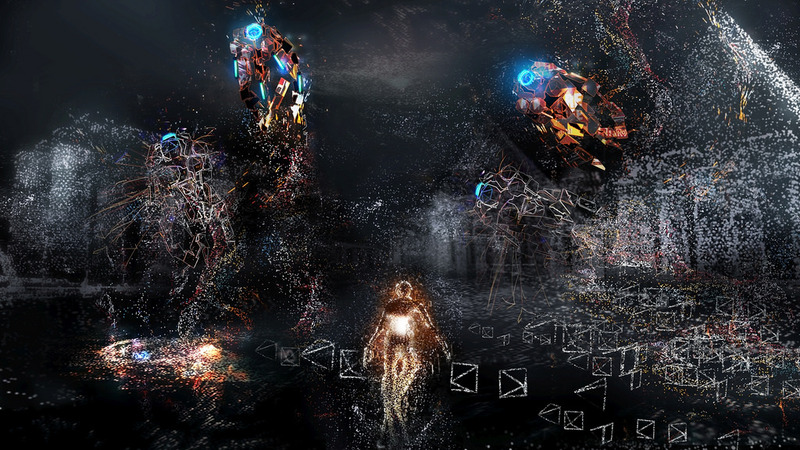 Pingback: Get Your Rez Infinite Digital Deluxe DLC… – All The PlayStation You'll Ever Need.